But if you have something cool not listed, don’t be discouraged! We welcome all kinds of content, and have had popular talks on WWI Battleships, Ergonomics, Knitting, and more. If it’s geeky, we’re listening. It’s been 22 years since “The Cathedral and the Bazaar”. Where we’ve been might tell us something about where we’re going. Today’s challenges include the ephemeralization of computers, the decline of C, open hardware, and increasingly dangerous information monopolies. What’s a hacker to do? Stay tuned to SELF through email or social media or our website as we release our first draft schedule in the coming week and open registration soon thereafter! We are pleased to announce the full details for both SELF 2019 and SELF 2020. SELF 2020 (FB event link) will be held June 12-14, 2020 at the Sheraton Charlotte Airport Hotel in Charlotte, NC. Note that while we have already opened our call for speakers, from here forward RFP is being pushed back. RFP will close January 31st, 2020. We have released a draft sponsor prospectus as well. We have a room block open, however the Sheraton will not accept bookings further than a year out. So while this link is good and valid you cannot use it just yet. We’ll send out a reminder email or two about the hotel when the link is working, as the only other time we’ve made a hotel block available this early it booked out shockingly fast (was over 80% gone before the new year). In addition, changes are coming to how we publish videos and audio. We will no longer be using YouTube as the be all end all for releases, due to YouTube’s oppressive automated copyright enforcement. We had pretty much an entire year worth of videos flagged by YouTube due to the music used in our sponsor ads. We appealed this decision since our sponsors, to the best of our knowledge, appropriately licensed the music in question. YouTube refused to reinstate a single video, and this appeals process takes a month for each video. While our new method of placing sponsors in videos (static image) doesn’t run afoul of YouTube’s copyright robot, it also doesn’t inspire confidence in the platform as a place for long term meaningful and open dialog. As such, we are working to backport the entire updated A/V portfolio (a sobering number of terabytes) to Archive.org as well as Vimeo as alternatives to YouTube, particularly in some European countries like Germany where we’ve had our videos removed wholesale. We’ll still be using YouTube as the means to stream for our remote attendees for now, but we’re looking into having multiple services should YouTube become a pain to deal with in this area as well. Remote attendee ($5) gets you access to live (5-60m delay depending on YouTube processing time) streams of the talks. – We have published our final schedule. – We encourage you to register to attend beforehand so you can can pickup your program guide and stuff as early as Thursday night. – Please take a moment to fill out our 10th anniversary survey if you haven’t already. We’ll be using the feedback in a keynote. – If you intend on purchasing kits for the fiber track (knitting etc), please let us know your purchase preferences so we can make sure we have enough, but not too much. – Can’t make it to SELF? No problem! This year we have a new remote attendee, where you can see all the talks live or on minimal delay. – Interested in volunteering? Send us an email! 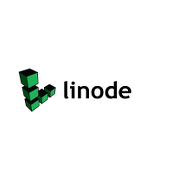 – Both the Friday and Saturday parties are sponsored by Linode. So everybody gets in, but supporting attendees and those who bring some to share get in an hour early and get a top shelf tasting. Registration is NOW OPEN. Please take care to read the admittedly long text on that page as it explains some of the changes as well as some of the events that will be going on. If you are a speaker, sponsor, volunteer, or staff you will receive an email with registration information later this week. Accordingly, we’re thrilled to release our working schedule for the event this year. While there could still be some changes, they should be minor. As usual, our parties will feature a selection of beer, wine, and liquor from throughout the southeast. We’ve started the Google Spreadsheet to coordinate on that, and look for many many updates to that doc over the coming weeks. We typically have over 100 different selections available when it’s all said and done. Be sure to get your hotel room if you haven’t already … they’re almost gone and the block discount rate with free wifi expires FRIDAY 5PM! We’ll be publishing our mobile schedule with full talk descriptions and speaker bios in the next week or so, as well as releasing a full road map for the Rally on The Tail of the Dragon and Blue Ridge Parkway and much more. Stay tuned! – Call for speakers is now open with a deadline to submit of 11:59 PM ET Friday April 20th. 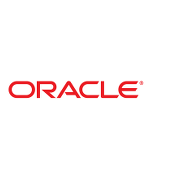 – We have a special 10th Anniversary Survey, would you please consider taking it? Results will be presented in a keynote this year. – The prospectus and call for sponsors is now open! – Our 2018 Propaganda is now up. – One of the keynotes at SELF 2018 will be SELF’s original President, Dave Yates. – Ask Noah will be doing a special live broadcast at SELF. – We are thrilled to announce a tentative TLLTS reunion show at SELF. Exactly who from TLLTS is top secret and TBD, but we tentatively expect most of the crew there, and are considering crowd funding to get everybody in one place again. – Ham Radio License Exams and an Exam Cram will happen again this year at SELF. They will again be free through Laurel VEC. – Geeks With Guns will again return to SELF this year. We are currently working on getting some, ahem, “special” equipment to use at the range for our 10th anniversary. Given that Geeks With Guns has sold clear out every year, we’re going to make the leap and DOUBLE the attendance cap for Geeks With Guns this year. And the cost of admission will include some rounds in any “special” equipment we’re able to obtain. – The Fiber Track will RETURN to SELF 2018! Being the awesome people that they are, they have already published a schedule. – The GPG Key Signing will be returning again at SELF 2018. – Based upon the overwhelming popularity last year, the LAN Party is returning and we are seeking your input in the 10th Anniversary Survey as to what game(s) we should play this time. – We will again have a conference party on Friday and Saturday night. By default the party is open only to supporting attendees, staff, speakers, sponsors, and volunteers. If sponsored, the party becomes open to the public and aforementioned groups get in one hour early. The party will have, as usual, a selection of wine, distillates, and beer exclusively from craft makers throughout the southeast. This year will feature a top shelf tasting open only to the aforementioned groups on Friday night. The Friday night party has already been sponsored by Linode. – There is at least one, and likely to be at least two, major open source projects doing bug bounties at SELF where you will get paid per fixed big. The projects doing this will likely not be announced until the event to give everybody a fair start. – The Internet Civil Engineering Institute will hold their annual meeting as part of SELF. Last but not least, the videos are being released onto YouTube. Be sure to subscribe to our channel or follow us on Twitter to be updated with each release as they’ll be coming every day for a little while. – Here’s our final schedule … only minor talk changes happened since last time. – Make sure you’re registered to attend — registering in advance will greatly speed up check-in for you! – Geeks With Guns is almost sold out. We will not be able to add more space. So when it is gone, it’s gone. – For the first time in quite a long time, it appears the Saturday Party will not be sponsored. (Don’t panic … the Friday Party is sponsored by Linode!) This means some changes for regular (free) attendees. While there will still be a party, including the craft beer bottle share, unless it is sponsored it will not be open to the public. It will only be open to volunteers, supporting attendees, staff, speakers, sponsors, and those who brought some to share. We can still take a sponsor for this if somebody wants to step up. But if that doesn’t happen you might want to review the Party Bottle Share Doc and bring some from your neck of the woods if you want to guarantee party access on Saturday if you’re not in any of the former groups. – Carpools/Room Shares … We already have one room share request, and we expect several room share/carpool requests to come in over the next few days as we publicize registration and the schedule. 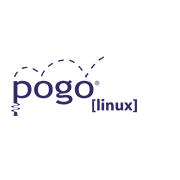 – Job Board … We encourage you to submit jobs to our job board if you’re looking for FOSS experts to hire! – If you want to volunteer, please fill out this form ASAP and we’ll be in touch! We have been a bit quiet with things because of a pretty aggressive push on our hotel room block this year. This is the first year where we had our hotel room block available the very next day after the previous year’s SELF ended. As a result, our room block was mostly exhausted by January. So we’ve been quietly pushing speakers/sponsors into our block while we still could. If you haven’t gotten a room in our block yet, you need to do so *immediately* as we have already hugely blown through our block, nearly doubling its original size. So you’re already depending upon general availability at the Sheraton to get a room right now. I expect hotel rooms to be unavailable at the Sheraton within a few hours of this post going live on social media. 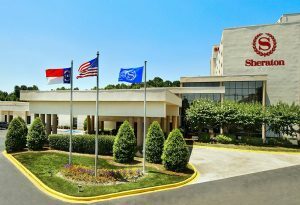 If you cannot book at the Sheraton any more, please email info@southeastlinuxfest.org … we can work to provide an alternate room block at a nearby hotel and arrange for shuttle transportation to/from your alternate hotel. – Party Bottle Share Doc … If you want to bring some craft wine/liquor/beer from your neck of the woods to share with everybody, you can get into the parties an hour earlier! SELF will consider paying you for the goods if you’re bringing stuff we cannot easily obtain. Email us at info@southeastlinuxfest.org to discuss if you’re interested and have access to less well known stuff outside the Asheville/Greenville/Spartanburg area. We are pleased to announce that call for sponsors is now open, the 2017 sponsor prospectus is now available. Our call for speakers is now open with a deadline to submit of 4/14, 11:59 PM ET. SELF opened its room block for SELF 2017 on the last day of SELF 2016. That room block is already 1/3 gone, so don’t delay and book your room now. If you are interested in organizing a room share or carpool, or posting a job for some of the most serious geeks in the region to see, feel free to submit those to us and we’ll get them up ASAP. Another SouthEast LinuxFest is in the books. We have all the videos recorded, and they only need to be trimmed and uploaded. So look for them very soon on YouTube. In the interim, I encourage you to join SELF-Announce. All important announcements related to the event (Dates, Venue, RFP, Call For Sponsors, Schedule) will be pushed to that list. It will be low traffic and should be roughly 6-7 emails a year, so don’t worry about a spam filled inbox. We will be sending surveys to sponsors/speakers/attendees soon. They are totally anonymous and don’t even collect identifying information, but of tremendous help to us. Please fill them out when they arrive. Didn’t get that sweet FOSS job you wanted while you were at SELF? You still have a shot! Look through our job board to see what is available. While we’re all just now recovering from this year’s event, we are pleased to announce that the 2017 SouthEast LinuxFest will be June 9-11, 2017 at the Sheraton Charlotte Airport Hotel. Our room block, which always sells out, is now open. Book now! The SouthEast LinuxFest is a labor of love put on by Galt’s Gulch Industries, LLC.